Could your school be part of our Kids Takeover? We're looking for primary schools around the country to take part in a brand new project - Kids Takeover! Year 4, 5 and 6 pupils are being invited to use literacy, historical enquiry and D&T skills to re-design and re-interpret our Marks in Time exhibition by selecting artefacts from the collection, writing exhibition labels and creating graphic design features for our displays here in Leeds. 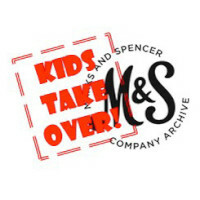 They'll be telling the M&S story to everyone who visits the archive through their choice of objects and their own research. The beauty of Kids Takeover is that you don't have to be anywhere near Leeds to take part as it all happens online! Pupils will research, write and design online, we put it all together here and then open the amazing Kids Takeover exhibition to the public in the spring. If your school isn't close enough to visit to see your display in person we will create a mini pop-up exhibition of your class's work and send it to school for your pupils to proudly showcase their fantastic project. It all happens over the course of the spring term, starting in January 2019. Before the end of the autumn 2018 term teachers will be provided with a comprehensive Teacher's Pack containing a project timeline, detailed instructions, examples and templates. You'll need to have access to the internet, and be able to commit to complete the project to a schedule that we will agree with you. 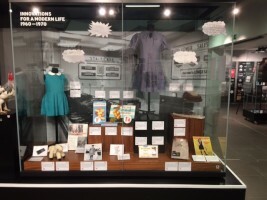 Each class will be allocated a display case and an era to explore. 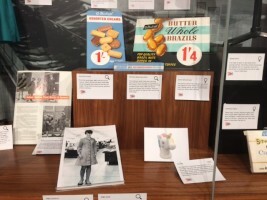 We will also send you a Discovery Box of handling objects relating to the era of your display, to help to bring the topic to life for your pupils. All classes taking part will have their work displayed for a month as part of the Kids Takeover exhibition, which will be open to the public and will be covered in the press and local media. As well as being invited to the opening of the exhibition, there will be a special M&S thank you for teachers on completion of the project. Places are limited, we have six places available for the 2019 exhibition. If you'd like to take part please email company.archive@marks-and-spencer.com telling us your school name, address, year group and why you'd like to take part in approximately 50 words. Expressions of interest must be received by 5pm on Friday 9th November.